Water Pipit still from the hide also drake Wigeon , fem Shoveler and 68 x Teal . reported towards Boundary Flash...........MG , FC. 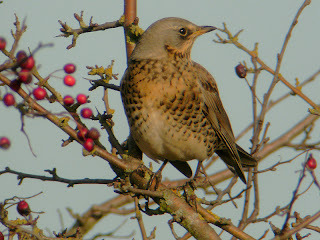 Fieldfare Doxey Marshes........photo by Martin Grant. 210 x Golden Plover ,Shelduck , 7 x Curlew , Goldeneye and 8 x Goosander.....EF. 106 x Goldeneye in south east bay this evening.......BB. Great Grey Shrike still in clearfell off Startley lane c250 metres west of the village this morning......Birdguides. Blackcap around JCB south Lake today.......EF. Golden Plover x 119 at west end also 4 x Dunlin and 5 x Goosander......BB. Little Egrets x 2 present today. Still 10 x Bramblings present by the Serpentine Lake.......KT. Great Grey Shrike still by the shooting butts this morning.......Birdguides. Great Grey Shrike still in the clearfell 250 m west of the village......Birdguides. Goosander female late afternoon on main lake....NS. Med Gull adult in the roost , also 5 x Dunlin and 174 x Golden Plover at west end .....BB. Scaup 1st winter drake still present........Birdguides. Azorean Yellow-legged Gull probable near-adult again in the roost also 3x Yellow-legged Gulls and a Med Gull. A Short-eared Owl again along the south shore showing well this afternoon.......Birdguides . 12 x Goosander , 6 x Shoveler . 4 x Snipe and 9 x Barnacle Geese.......S Owen . Water Pipit still present by pollards @ 10-40.........Birdguides . 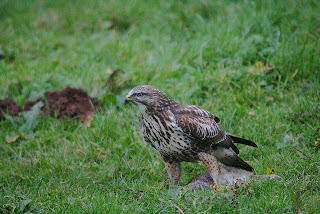 @ 10-00 this morning.........R Swift. Still around 40 + Bramblings between the car park and the Serpentine Lake....SS. 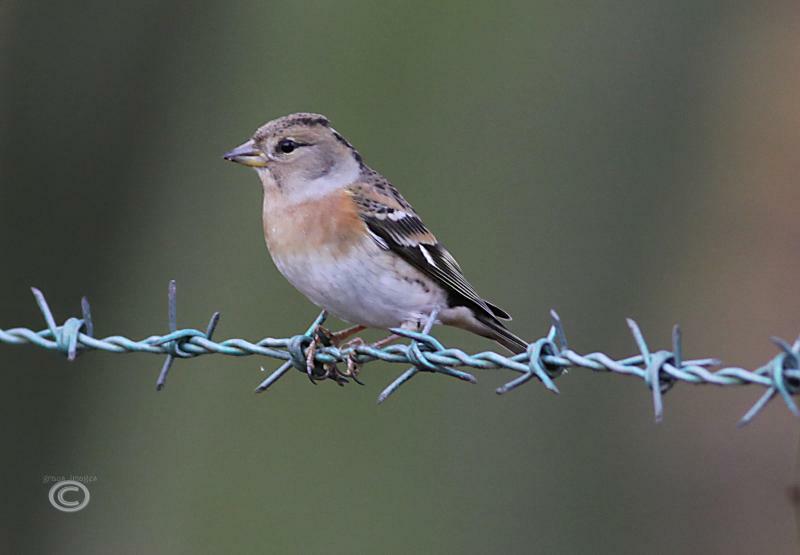 Brambling still around 40 x birds between the car park and the Serpentine Lake ......SS. Scaup 1w drake still also Short-eared Owl over north shore at 16-30.........Birdguides. 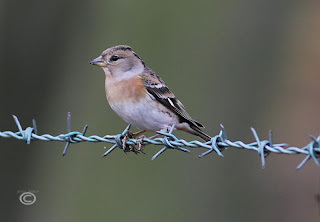 Brambling female....Knypersley ....photo by G Allbutt. 40+ Brambling this morning along path heading north from car park.......SS. 4 x Goosander on main lake at 15-00........KT. Sandy Pit........300+ Golden Plover . Black Meadow Scrape......2 x Dunlin , Redshank , Green Sand and 3 x Shelduck......JW. Brambling x 14 around pool car park this morning.....SS. Barton pit Red-throated Diver, 3x Little Egret, 2x Ruff and a Redshank. Sandy pit 400x Golden Plover, 3x Ruff, Green Sandpiper and 3x Shelduck. Brambling x 20 + this morning also Raven over , no sign of drake Mandarin.....SS. No Sign of juvenile Black-throated Diver this morning........Birdguides. No Sign of Firecrest at German Cemetery so far this morning.......Birdguides. Tundra Bean Geese x 6 still also 1w drake Scaup........Birdguides. Great Grey Shrike in and around shooting butts and Trig Point........Birdguides. Great Grey Shrike still around the shooting butts today......Birdguides. Iceland Gull juv late pm , also 2 x adult Little Gulls and adult Med Gull......Birdguides. 13 x Goosander , 60 x Golden Plover , 2 x Goldeneye , Shoveler and Green Sand.......EF. Little Egret x 2 flew around main lake this morning.........J Jones. Drake Mandarin Duck this morning on the Serp and 20x Brambling......SS. 2000+ Wood Pigeon flying east between 8-00 / 8-30.......B Bowler. Kingfisher x 2 brooke drain along the access rd to Cricket Club.......G Hadley. A second Great Grey Shrike this morning near Upper Longdon.......Geoff. Goosander:--- Boundary Flash 5 male 3 female, Tillington Flash 2 male 1 female. Shoveler:--- Boundary Flash 4 male 1 female, Tillington Flash 2 male 1 female. Lapwing:--- Tillington Flash 57, Cadbury Pasture 40..........Martin Grant. Little Gull adult still present also a single Ruff.......Birdguides. Goldeneye imm male present late afternoon......NS. Little Gull x 2 adults present today , also adult Med Gull in the roost....BB. Waxwing x 23 on Tollgate Ind Est between 3-50 / 4-15.........R Stanton. Great Grey Shrike still near the shooting butts but mobile also c200 Redpoll in the area along with Crossbill and Brambling........RT & NP. fem Red-crested Pochard , 6 x Curlew and 110 x Golden Plover.........EF. 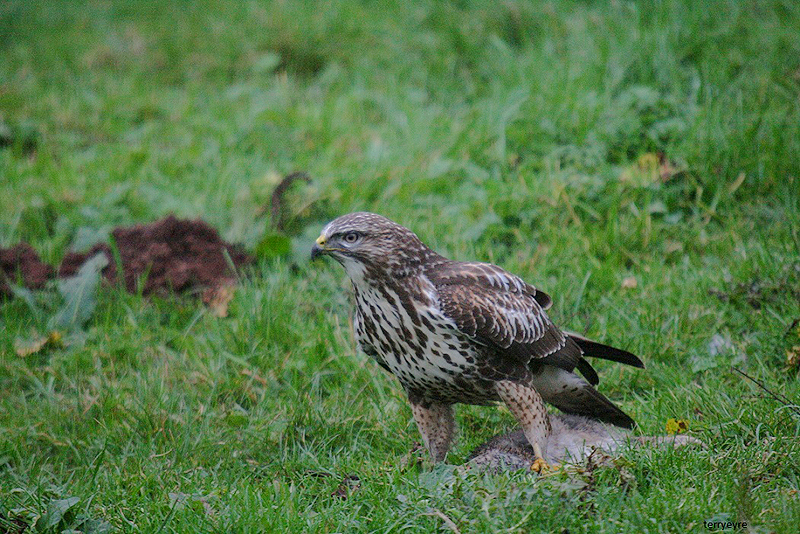 Peregrine seen from A519 @ 8-45 this morning........G Hadley. Little Gull adult still present.......Birdguides. No Sign this morning of the imm drake R B Merganser on main lake.......PL. Little Gull adult present in the roost also , adult Y L Gull...........Birdguides. Azorean Yellow-legged Gull near adult in pre roost this evening......Birdguides. Short-eared Owl one present from 16-20 / 16-30 this evening.........S Willder. Imm drake Red-breasted Merganser still present......NS. Great Grey Shrike showing well this morning near the shooting butts.....Birdguides. Azorean Y L Gull near adult on the Tip this PM............Birdguides. Whinchat 1w present in the hedge in sheep field by Small Meadows Farm........Birdguides. Red-breasted Merganser......Westport Lake.....photo by S Seal. Red-breasted Merganser imm drake still on main lake NS. SS et al. Great Grey Shrike still near the shooting butts mid-day.......Birdguides. Bewick's Swan x 5 (2 x adults , 3 x juv) flew south west at 10-20.......Birdguides. Med Gull adult , also 2 x Yellow-legged Gulls in the roost........Birdguides. Med Gull adult on sailing lake this morning. Red-breasted Merganser x 5 redheads from Scott Hide present to dusk also adult Med Gull and adult Yellow-legged Gull........Birdguides. Red-breasted Merganser imm drake still present on main lake......CJW. Red-breasted Merganser 1st winter drake still present on main lake this morning......CJW. Red-breasted Merganser (imm drake) Westport Lake. Red-breasted Merganser (immature drake) this morning.......J Jones , CJW , SS et al. Azorean Yellow-legged Gull probable near-adult in the roost also adult Med Gull and 2nd winter Yellow-legged Gull....... Birdguides........see link below. Common Gull x 2 on the pond this morning.........A Stanton. Dunlin x 6 at west end , also Green Sandpiper and 69 x Golden Plover.......BB. Green Sandpiper x 2 present. Cetti's Warbler in Gazebo Bay this morning also Whooper Swan today. Red-crested Pochard female this morning.........Birdguides. Also 2 x adult Whooper Swans this morning before flying east at 10-40 . Whooper Swan adult present west end , also Cetti's Warbler by Gazebo Hide . Short-eared Owl x 3 , also 100 x Redwing in field near Foxt.........D Powell. Caspian Gull (2w) possible in roost this evening.....Birdguides. east and 4 x Siskin by the bridge..........G Brereton . 75 x Lesser Redpoll............T Eyre. 15 x Dunlin Tad Bay..............R Broadbent. Please do not drive on the foreshore under any circumstances. Short-eared Owl x 2 present today..........Birdguides. Brambling x 8 present this morning (1 x male).........SS. Golden Plover x 50 birds present early afternoon........B Bowler. Pink-footed Goose x 20 flew over A34 @ 13-20 and possibly landed nearby.......R Gilbert. Golden Plover x 90+ this evening.........R Gilbert. Golden Plover x 208 at west end.....Birding Today. Caspian Gull poss 2nd winter in roost , also 3 x Yellow-legged Gulls (2 x adults & 2w)....Birdguides. Great Grey Shrike......Cannock Chase.....photo by Ann P Bentley. and one still present 500 yds down from the Cadet Huts this morning.............GJM , SS et all. Short-eared Owl one hunting the Void this evening........J Hutchins. Yellow Legged Gull adult present in roost this evening.......BB.